WICID is an information project for young people. WICID required a new fresh bilingual website which would appeal to their younger audiences. They needed a user friendly site which would be able to display all the information and content needed. During the design phase of the website, we created a funky, fresh and stylish new feel to the site. We wanted to focus on colours, text fonts and styles that will appeal to their younger audiences. We needed to design the layout of the website for modern and fresh look but also easy to use and digest. We used a block style to differentiate text categorises into sections on the site. Once WICID were happy, they signed off the finial design and the build stage began. When building all of our customer websites, we always consider how best to utilise SEO. For WICID we decided it would be best to include both a Twitter and Instagram feed into the footer of the site. This now means that when WICID update these social media platforms, the website also updates helping to keep Google happy! Once the new site was built and ready to go live, we provided WICID with full CMS training. This training included showing the team how to update the website with new text content and images. This gave them the tools they now need to keep the website up-to-date. However, we promise to continue to support WICID throughout the life span of their website as we are always only a phone call away! 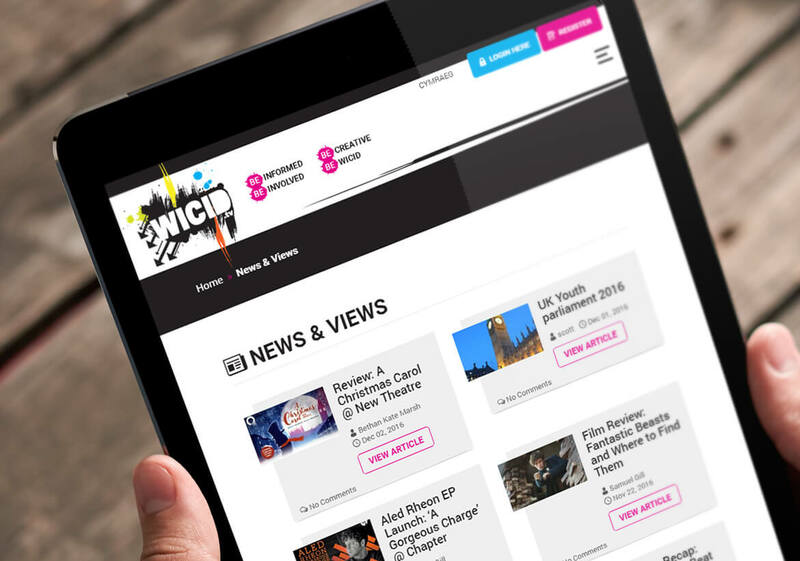 We loved working with WICID and designing them a fab new website to meet their user needs! WICID required a new fresh bilingual website which would appeal to their younger audiences. For WICID we decided it would be best to include both a Twitter and Instagram feed into the footer of the site. This now means that when WICID update these social media platforms, the website also updates helping to keep Google happy!